Mauryan Empire and Gupta Empire Comparison: Both Mauryan, as well as Gupta Empire, were the two most highly celebrated Dynasties to have been recorded in history. Both these dynasties were similar as well as different from each other in some aspects. The Mauryan Empire was the largest as well as one of the most powerful political and military Empires of ancient India which originated from the kingdom of Magadha in the Indo-Gangetic plains of modern Bihar and Bengal in addition to its capital city of Pataliputra. The Empire was founded in 321 BCE by Chandragupta Maurya, who conquered the Nanda Dynasty and from there began expanding his power across central and western India. The Empire stretched to the north along the natural boundaries of the Himalayas and to the east, stretching into the present day Assam. To the west, it reached beyond modern Pakistan and also included Baluchistan in Persia along with most part of today’s Afghanistan, including the modern Herat and Kandahar provinces. The Empire was expanded into India’s central and southern regions by Emperor Bindusara but excluded a small portion of the unexplored tribal and forested regions near Kalinga. Following the conquest of Kalinga in a major war, Ashoka ended the military expansion of the empire. The kingdoms of Pandya and Cheras in southern India thus preserved their independence and also accepted the supremacy of the Mauryan emperor. The Mauryan Empire is considered one of the greatest periods in Indian history. Under Chandragupta and his successors, domestic as well as foreign trade, agriculture and economic activities flourished and expanded across India, with the creation of a single and efficient system of finance, administration, and security. After the Kalinga War, the Empire experienced half a century of peace and security under Ashoka. Under him, India was a prosperous and stable empire of great economic and military power whose political influence and trade extended across West and Central Asia and Europe. Mauryan India was also exposed to an era of social harmony, religious transformation, and expansion of the sciences and knowledge. Chandragupta Maurya’s embrace of Jainism increased social and religious renewal and reform across society, while Ashoka’s embrace of Buddhism was the foundation of the reign of social and political peace and non-violence across India. 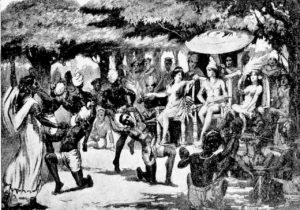 Ashoka sponsored the spreading of Buddhist ideals into Sri Lanka, South East Asia, West Asia, and Mediterranean Europe. The Mauryan Empire was divided into four provinces, with the imperial capital at Pataliputra. From Ashokan edicts, the names of the four provincial capitals were believed to be Tosali in the east, Ujjain in the west, Suvarnagiri in the south, and Taxila in the north. The head of the provincial administration was the Kumara or the royal prince, who governed the provinces as king’s representative. The kumara was assisted by Mahamatyas and council of ministers. This organizational structure was reflected at the imperial level with the Emperor and his Mantriparishad or the Council of Ministers. According to most of the historians, the organization of the Empire was a sophisticated civil service which governed everything from municipal hygiene to international trade. The expansion and defense of the empire were made possible due to the largest standing army of its time. According to Megasthenes, the empire wielded a military of 600,000 infantry, 30,000 cavalry, and 9,000 war elephants. The Gupta Empire, on the other hand, was one of the largest political and military empires in ancient India. This dynasty ruled India from 240 to 550 BC and covered most of northern India. The origin of the Guptas is masked in obscurity. The Chinese traveler I-thing provides the first evidence of the Gupta kingdom in Magadha. At the beginning of the 4th century, the Guptas established and ruled a few small Hindu kingdoms in Magadha and around modern-day Uttar Pradesh. The Gupta dynasty ruled India north of the Vindhya Range during the 4th and 5th centuries. Though the Gupta Empire was not as vast as the Mauryan Empire, yet they still managed to leave a deep and wide cultural impact not only in the subcontinent but in the adjacent Asian countries as well. The Gupta rulers were great conquerors and good administrators. They checked the infiltration of foreign tribes like Sakas and Hunas and established political stability. Economic prosperity followed and eventually paved the way to cultural expansion as well. Sanskrit language and literature reached its peak during the Gupta era. Poets Kalidasa, Dandi, Visakhadatta, Shudraka, and Bharavi all belong to this period. Many Puranas and Shastras were composed and famous commentaries on sacred works also appeared in the same time. Buddhist and Jain literature, which was produced earlier in Pali, Ardhamagadhi and other Prakrit languages, began to appear in Sanskrit. The practice of dedicating temples to different deities became popular which was soon followed by fine artistic temple architecture and sculpture. Of the twenty-eight Ajanta caves, most of them were constructed during this period. Gupta inscriptions, some of them on “victory pillars” provide first-hand information not only about royalty but also about the society in general. Books on varied topics like medicine, veterinary science, mathematics, astronomy, and astrophysics came to be written. The famous Aryabhata and Varahamihira belong to this age. Overseas trade and commerce flourished. Hindu and Buddhist mythology, architecture, along with religion took root in Burma, Cambodia, Thailand, Indonesia, and other countries. The Chinese monk Lui Kang who was in India and Sri Lanka between 399 and 414 noticed general prosperity and peace-loving nature of the people. This period is regarded as the golden age of Indian culture. The high points of this cultural creativity are magnificent and creative architecture, sculpture, and painting. The wall-paintings of Ajanta Caves in the central Deccan are considered among the greatest and most powerful works of Indian art. The paintings in the cave represent the various lives of the Buddha, but also are the best source we have of the daily life in India at the time. The Gupta established a strong central government which also allowed a degree of local control. Gupta society was ordered in accordance with Hindu beliefs. This included a strict caste system or class system. The peace and prosperity created under Gupta leadership enabled the pursuit of scientific and artistic endeavors. The Gupta Dynasty declined due to weak rulers and a series of invasions, but many of their cultural and intellectual achievements were saved and transmitted to other cultures and live on today. The Gupta period is considered something of a golden age, marked by great achievements in literature, music, art, architecture, and philosophy. Lui Kang wrote of beautiful cities, fine hospitals and universities, and described a content and prosperous people. Both ruled over large areas of north India, and both expanded their territory basically became empires through rapid annexation. Both were periods of advancement in various areas. For example, under the Mauryas, the social and political manual “Arthashastra” was written to explain statecraft while the Gupta Empire saw the development of mathematics and astronomy and literature (such as the plays of Kalidasa). 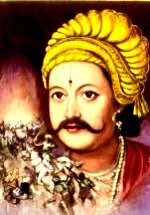 The Mauryan emperors supported different religions: Chandragupta Maurya followed Jainism, helping it rise to prominence, and Ashoka was a follower of Buddhism and sent Buddhist missionaries abroad (incidentally, the Buddhist message of nonviolence he promoted after expanding the empire in conquest). On the other hand, while there were significant Jain and Buddhist populations in the Gupta Empire and the empire promoted religious tolerance, the rulers were Hindu. The Mauryan Empire ended through internal strife: the assassination of a ruler and a revolution which crushed the empire. On the other hand, the Gupta Empire faced external threats with the military conflict against the Huna people of northwest India/central Asia.